Solar power is the way ahead and the world is quickly leaning towards this fantastic source of never-ending never-ceasing alternate energy. However, harvesting this promising energy from the sun isn’t a breeze and the process requires lots of space, for the installation of photovoltaic cells. 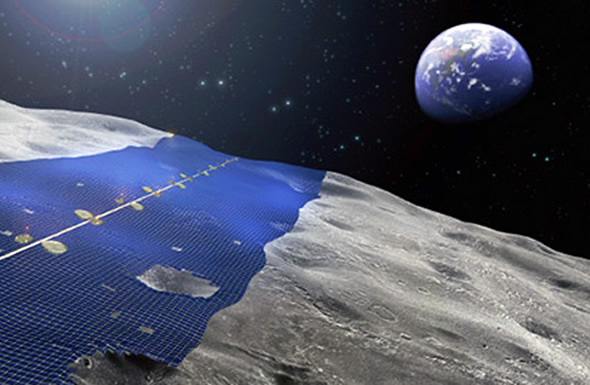 Given the fact that the better part of the world is already packed with humanity and its developments, a team of Japanese engineers from the Shimizu Corporation is now looking forward to placing solar cells on the moon and turning the celestial body into a massive solar power plant! Renewable energy is indeed a fantastic way to reduce carbon emissions, generate energy and add a dash of green to an electricity grid, and the state of Iowa has just proven all of this! Environment Iowa released its most recent report based on the benefits of wind energy use in the state and the numbers these sheets of paper have thrown up are encouraging to say the least. 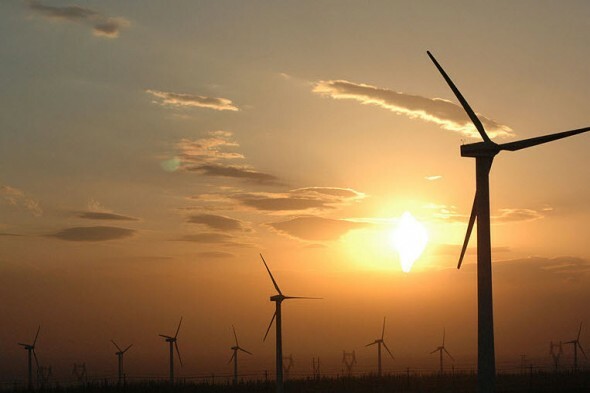 Using wind energy, the state has avoided a whopping 8.4 million metric tons of climate-altering pollution, which is nearly as much as pulling 1.7 million cars of the street. 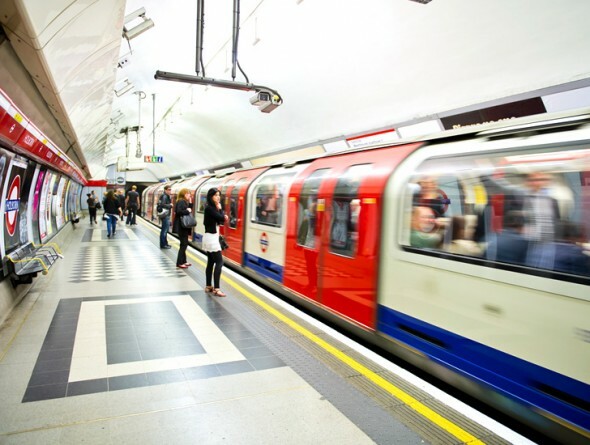 London to use wasted heat from the underground network to warm homes! Energy cannot be created nor destroyed, but it sure as hell can be used over and over again! The Islington Council, the Mayor of London Boris Johnson, UK Power Networks and Transport for London has joined hands to reuse and recycle waste energy to power homes in London. The project will harvest waste heat energy from the London Underground and an electrical substation for use in homes! To be run through the Islington Council Bunhill Heat and Power heat network, the project will use heat expelled from a a London Underground ventilation shaft and the other from a sub-station owned and operated by UK Power Networks. Social networking is a great way to stay connected with people you wouldn’t want to regularly pick up a phone and call but let’s face it; these activities do cast a blotch of carbon on the environment. Keeping this in mind, the world’s largest social network today, Facebook, has decided to take a green jump. The company has decided to have an entire data center powered by wind energy. 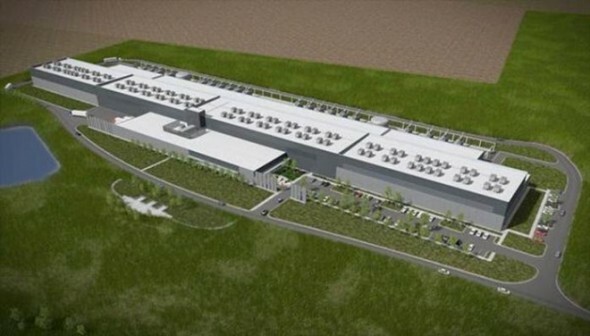 Located in Altoona, Iowa, the data center will be 100% powered by wind energy from a nearby windfarm project. Powering up a full-fledged data center certainly isn’t a joke and can prove to be quite an energy sucker. 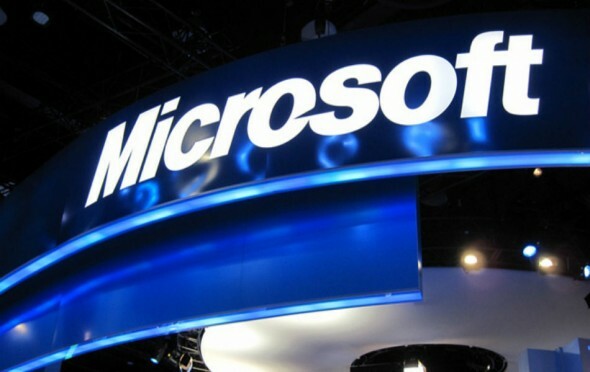 Microsoft Corp. one of the world’s biggest technology developers, is currently moving towards the greener side of affairs and has recently signed a 20-year deal to buy power from a new wind farm in Texas! This is the first time Microsoft has decided to directly purchase green energy from a source and is a step ahead for the company towards its carbon neutral goal. There are limitless applications to solar panels and besides simply working as renewable energy generators, these installations are now being used as paving stones! Behold the solar powered walkway, installed at the George Washington University. 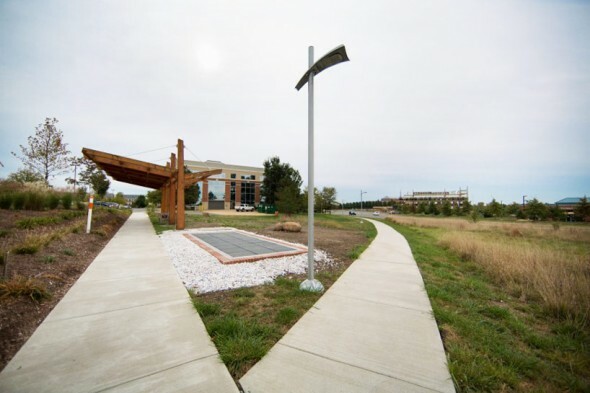 The world’s first energy producing walkable solar-paneled pathway, this walkway sports a solar-powered trellis by Studio39 Architecture and 27 slip-resistant semi-transparent photovoltaic glass panels from Onyx Solar’s stables. IKEA is the world’s most renowned furniture retailer and has been selling furniture across the globe for quite a while now. 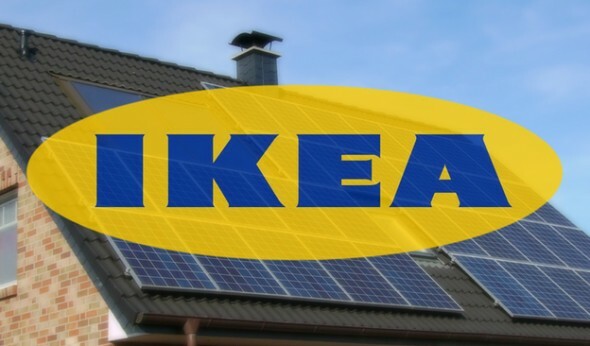 The company will now offer more at its stores, enabling British customers to shop for solar panels! The solar panels will include in-store consult and design service, installation, maintenance, and energy monitoring. Also, these panels are less expensive than those available in the United States, with a 3.36 kilowatt system with 18 panels priced at just $9,200. Solar power has long been predicted to be the next best way to power up the world, a replacement for fossil fuels being used today. 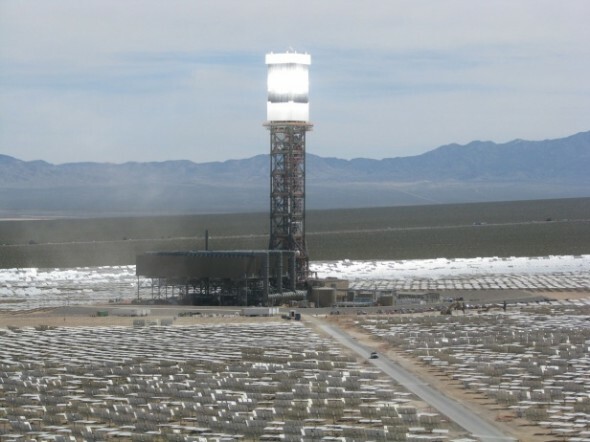 Now, the world has taken a step further towards its solar-juiced-dreams, with the opening of Brightsource Energy’s Ivanpah power plant, better recognized as the world’s largest solar thermal power plant. The plant, located in California, delivered power to the grid for the first time a couple of days ago, the start of a long and green service. The Indian desert region of Rajasthan is known to enjoy a substantial amount of time in the sun. 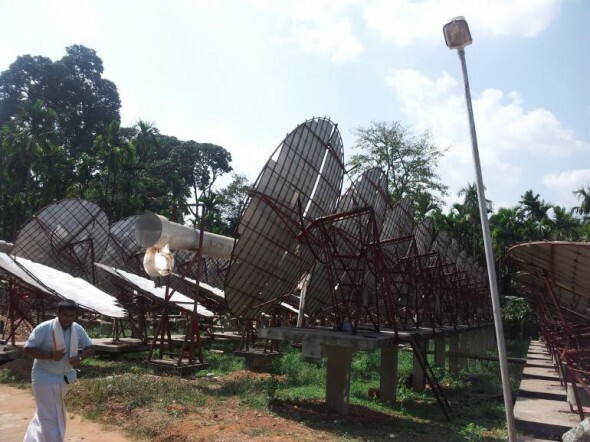 This also makes this Indian state a great place to make use of the sun to its fullest, to generate electricity. The government seems to have realized the true potential of this bright sunshine and has decided to develop the world’s largest solar power plant! Known as the “Ultra-Mega Green Solar Power Project,” this power plant will have a total power generation capacity of 4,000 megawatts, more than a double of India’s current total solar power generation capacity. 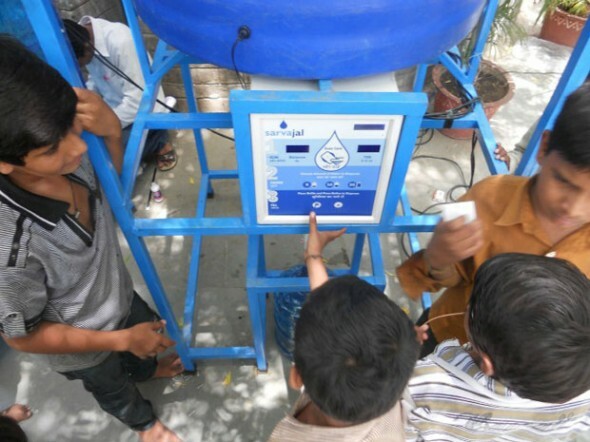 The rural parts of India have recently received a boon, in the form of solar-powered water ATMs that dispense clean and portable water. A franchised network of water ATMs that’s serving 110,000 rural customers has been set up by Anand Shah and his firm, Sarvajal. To use these water ATMs, users simply need to swipe a prepaid smart card at the dispensing machine and collect their ration of clean water!